This last weekend, I found Christo perched among the fall foliage in Tompkins Square. 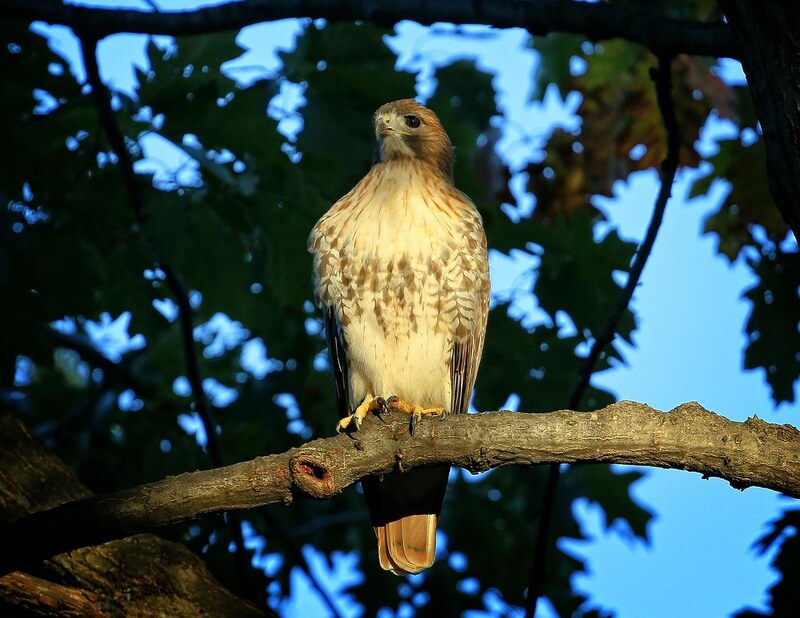 I love this time of year when the color of the leaves compliments the plumage of the hawks. I also love the this time of year as the sun casts a warm light over everything. Christo savored the last golden spotlight of the day. As the sun disappeared, the rats came out. Dinner time! 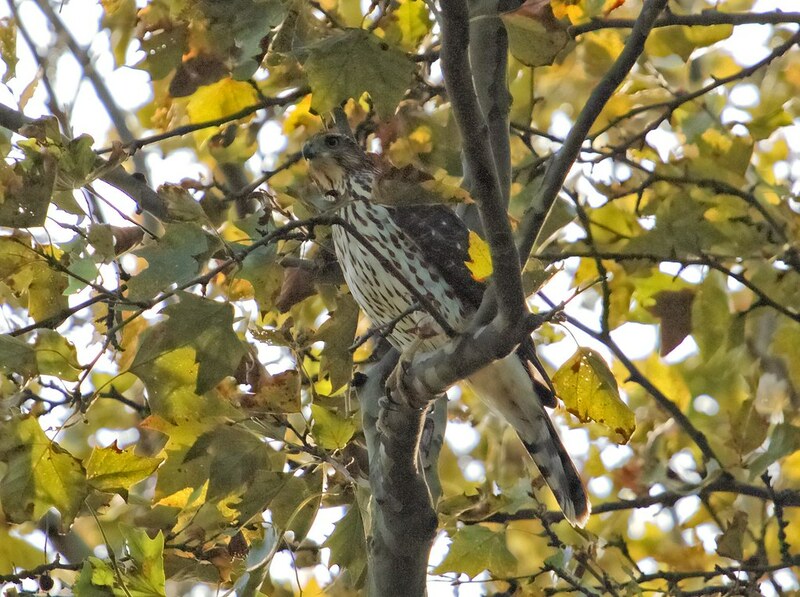 Meanwhile, there has been at least one Cooper's hawk visiting the park over the last couple of weeks. The Cooper's flies extremely fast and is difficult to see when perched in the trees. 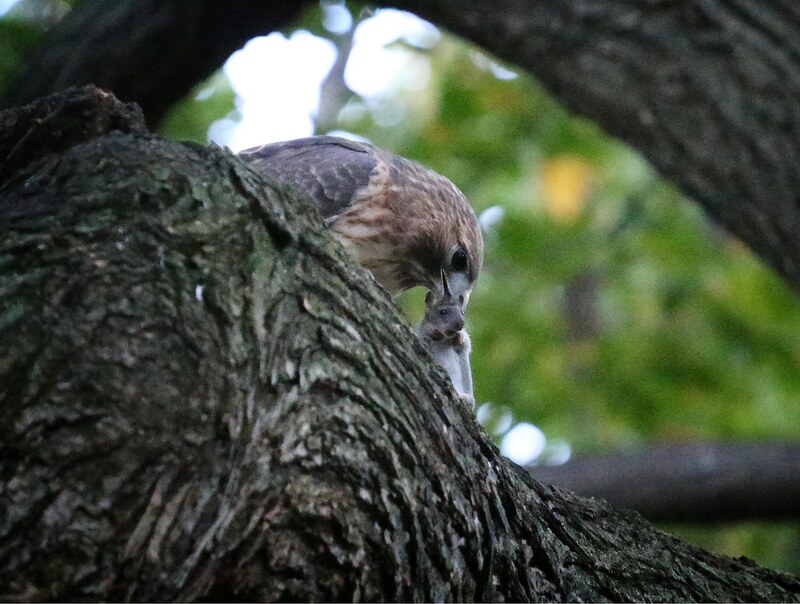 A juvenile was terrorizing pigeons along the west side of the park on Saturday afternoon, and I managed to get one shot of it. 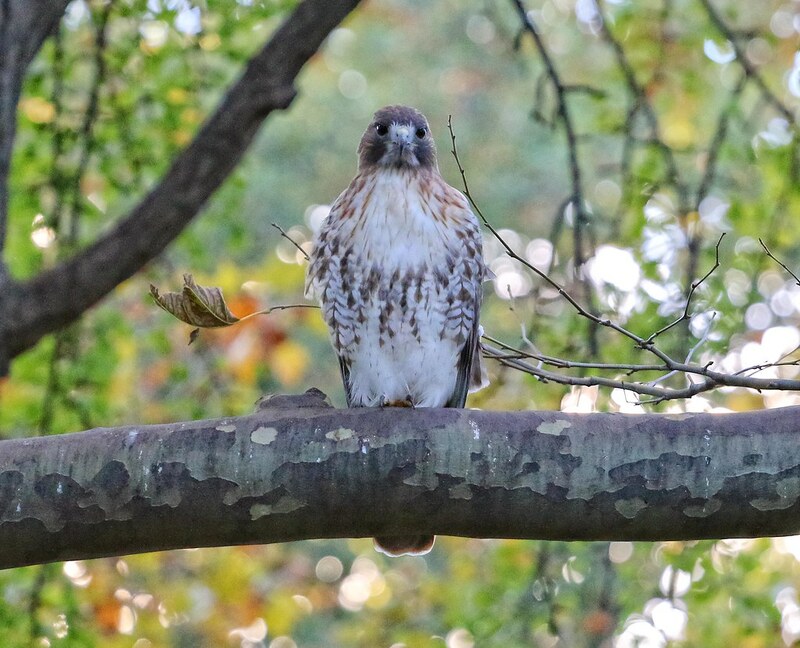 Looking back at my past posts on Cooper's hawks in the neighborhood, it seems I usually see them in January, so it's nice to see one at this time of year. Christo and Dora have been fairly tolerant of the Cooper's being in their territory. This was not the case Saturday when I spotted Dora aggressively escorting a juvenile red-tail out of the area. 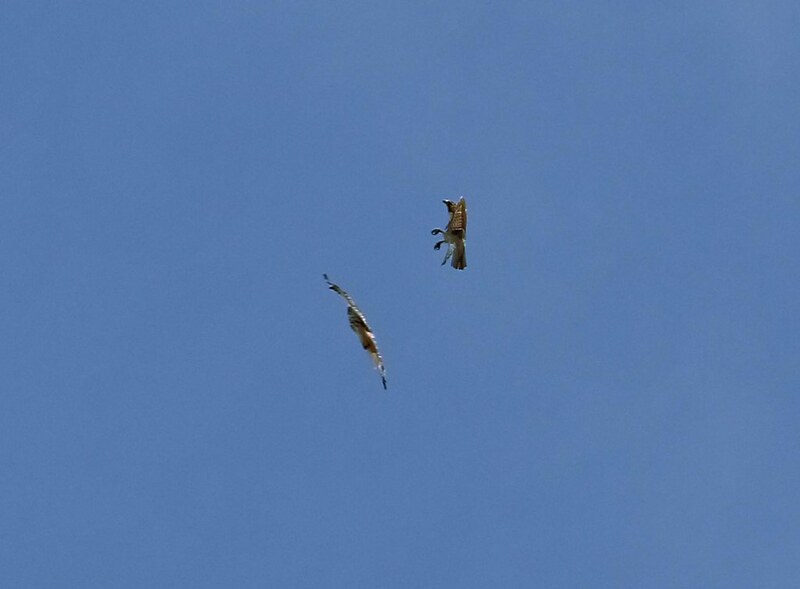 In the photos above and below, Dora is on the left and the intruder is on the right. Note their size difference. 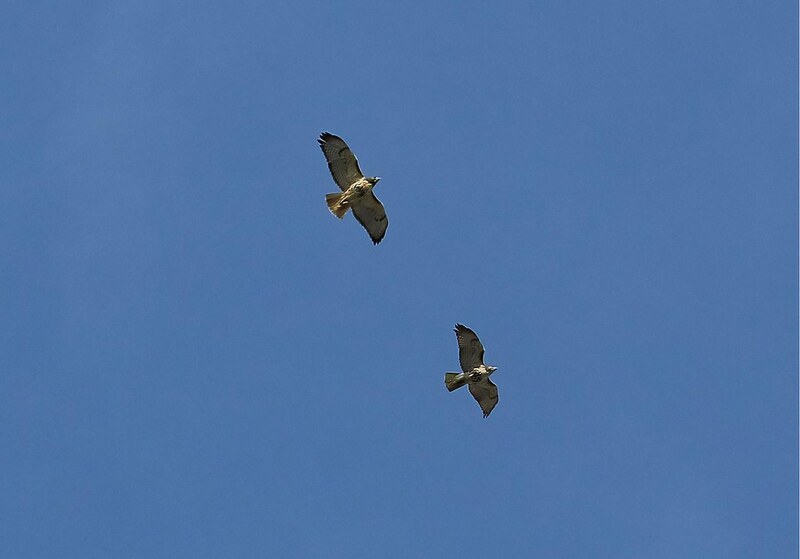 At first glance, it may look like they are engaged in a friendly soaring session, but Dora was anything but amiable. 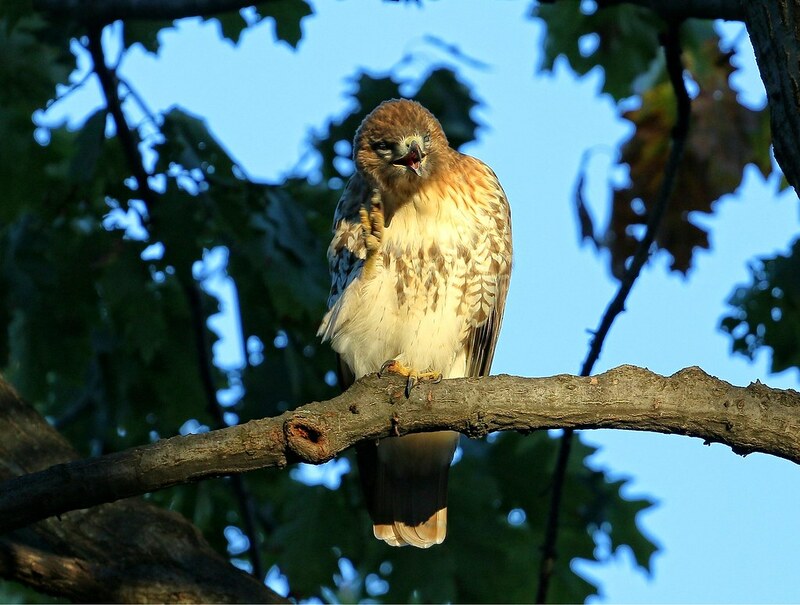 She kept nipping at the other hawk and, at one point, had feathers on her beak. 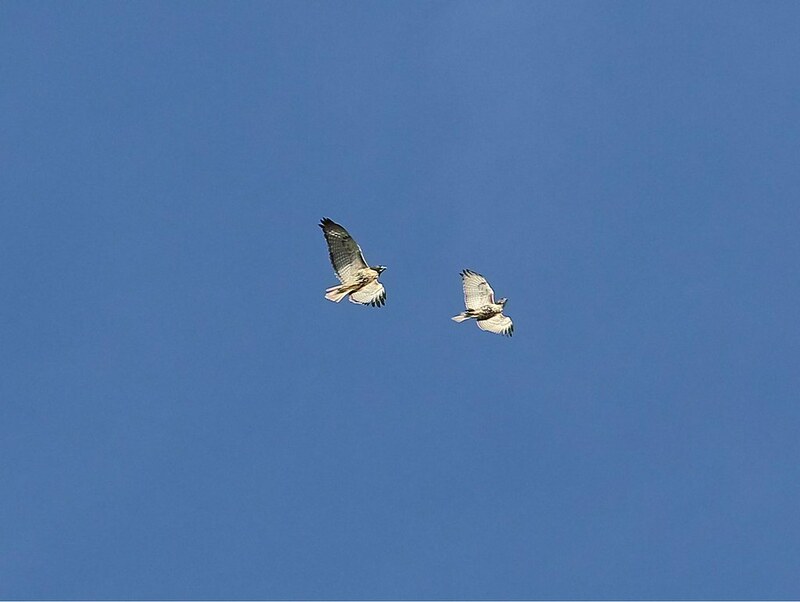 They were very high in the sky, so I couldn't get very close with the camera, but in the photo below, you can see Dora on the right with her talons out. 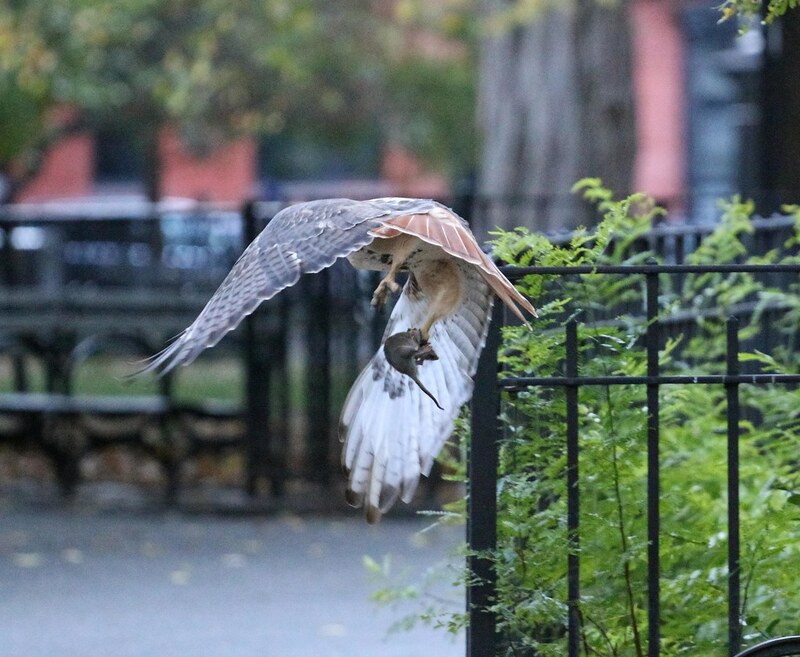 We've previously seen her engage in this behavior with a Peregrine falcon. 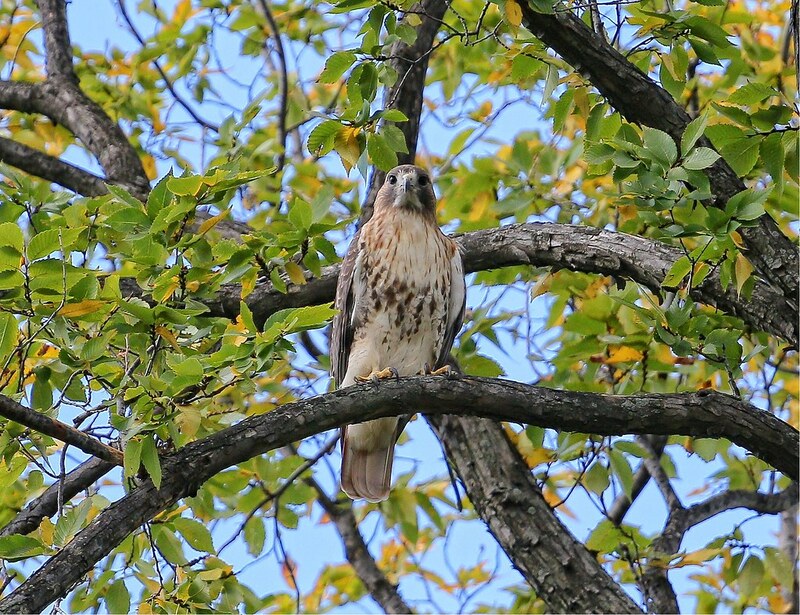 Who was this juvenile red-tailed hawk? Could it have been one of Christo and Dora's offspring? Was it a migrating stranger? Unfortunately, we have no way of knowing. 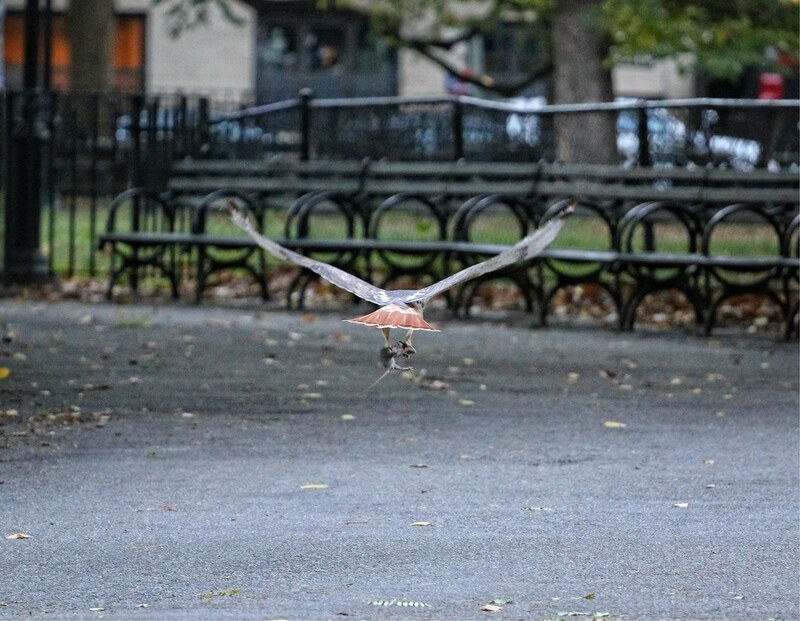 Back in the park, drama subsided, Christo digested his meal before going to roost for the night.